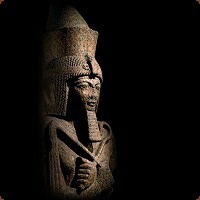 Events and Exhibitions: A list of Egyptology Events, TV Programmes and Exhibitions of Ancient Egyptian collections from the United Kingdom and around the world. A list of Egyptology Events, TV Programmes and Exhibitions of Ancient Egyptian collections from the United Kingdom and around the world. Professor John Garstang’s excavations in ancient Egypt. A travelling exhibition with collections from Towneley Hall, Blackburn and Kendal Museums, the Garstang Museum of Archaeology, Liverpool. This brand new blockbusting exhibition allows visitors to investigate the truth behind some of the most popular myths about ancient Egypt amongst displays that bring together over 200 objects from some of the most important Egyptian collections in the country. These include an amazing colossus statue from the British Museum, a rare head of Queen Nefertiti from the Ashmolean, crocodile mummies from Bolton Museum and a gold pendant from Manchester Museum discovered by archaeologists in the hands of an ancient robber trapped in a collapsed tomb. Amongst all known pyramid complexes, that of Sahure in Abusir near Cairo, which boasts several superlatives, takes a special position. The intricate architecture with a total length of just under 500 meters reveals a pure, classical form of strict axiality and perfection. The walls are decorated with 10,000 square meters of royal relief art. The finds made so far can be assembled to the most beautiful and abundant picture book of the Old Kingdom. With high-caliber originals – reliefs, architectural elements, sculptures, vases, and valuable papyruses – from international museums such as the Musée du Louvre in Paris, the Egyptian Museum and Papyrus Collection in Berlin, and the Metropolitan Museum of Art in New York, the show gives evidence of the worship this great Egyptian pharaoh enjoyed. A special chapter of the exhibition will be dedicated to the scientist and explorer Ludwig Borchardt, who discovered Sahure’s pyramid complex in the early twentieth century and from whose excavations important reliefs from Sahure’s temple complex came into the possession of the Liebieghaus in the course of the finds’ distribution. Historical documents, diaries, and drawings convey a comprehensive picture of the fascinating excavation history of Sahure’s pyramid temple which began more than one hundred years ago and still continues today. 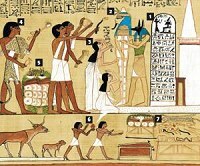 For any ancient Egyptian of wealthy standing, the "Book of the Dead" was an invaluable roll of papyrus which kept within it all the secrets of the afterlife: spells, illustrations and incantations revealing the path from death to mummification and, finally, the liberation of the soul. Many of these "books" were acquired by the British Museum in the late-19th century, but have lain in vaults, too fragile to unfurl and never before seen by the public. Now, after an extensive period of conservation, they are to be displayed alongside a dazzling array of mummies, coffins, jewellery and statues in a major exhibition entitled Journey Through the Afterlife: Ancient Egyptian Book of the Dead, which opens on 4 November. The Book of the Dead of Hunefer, a 5.5m-long papyrus, will be among the 192 items on display. Scientists have now revealed their fascinating findings from a new detailed examination of the mummy of the boy-king Tutankhamun. Join Joyce on this new study day to debate and explore the very latest findings on his probable cause of death, his medical conditions, which members of his family have been identified and what tests were used to examine his body. Joyce Filer was recently selected as the BBC Tutankhamun spokesperson to be interviewed on the new biological findings when this ground-breaking report was released. She is an Egyptologist and Physical Anthropologist having spent 10 years as the British Museum Curator for Human and Animal Remains in the Department of Ancient Egypt and Sudan. 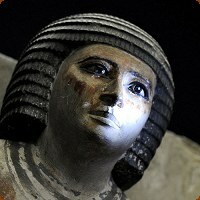 She has undertaken cemetery excavations in Sudan, Egypt and Britain, CT scanning projects and forensic examinations. She is the only British archaeologist to have officially examined the body from Tomb KV55, often thought to be Tutankhamun's brother. She has made many TV appearances and written widely on ancient Egypt. She is also acknowledged as a world expert on mummies. The Study Day is aimed at Adults. Children of secondary age need to request permission from the Organizer.